Weekly house syndicates are a popular way to play your favourite Tatts games. We have a variety of weekly syndicates available for you to join. 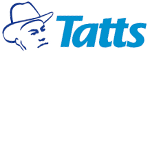 There's also extra syndicates available for the upcoming TattsLotto Superdraw. To reserve your shares contact us.